Yesterday I went to the fields near Diest to make some twilight landscape pictures. 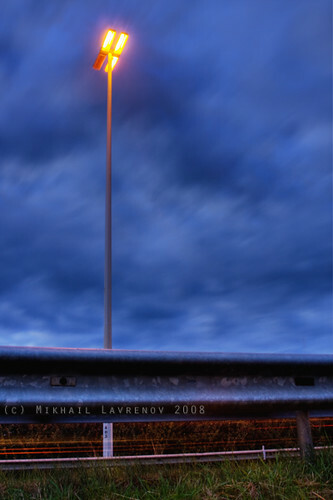 I found the highway lamp rather interesting (and I am not so happy with my landscape pictures by the way). 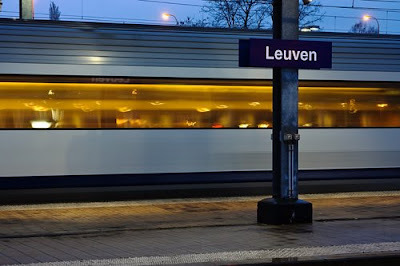 Another photo of Leuven train station. It was raining, but the sky was still nice blue after sunset (or may be during sunset as it’s not easy to say with completely overcast sky). Rain wasn’t heavy and stopped while I was taking photos.